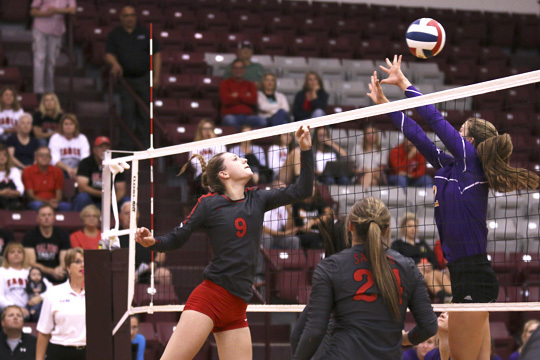 Salado Lady Eagles lost to the Gidding Lady Buffaloes in the bi-district round of the 4A volleyball playoffs in five sets on Oct. 31, ending their season. 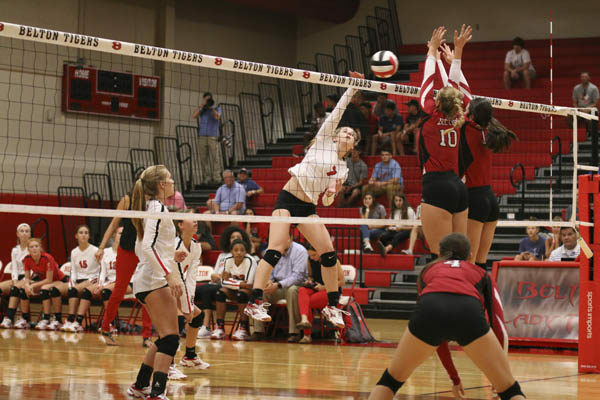 Salado Lady Eagles beat the Academy Lady Bees in three quick sets tonight, winning 25-17, 25-21 and 25-22. The girls fought off the Bees in the second and third sets being tied at 18-18 in the second and 21-21 in the third. Salado Lady Eagles traveled to Groesbeak early yesterday and competed in their last tournament of the 2017 season. 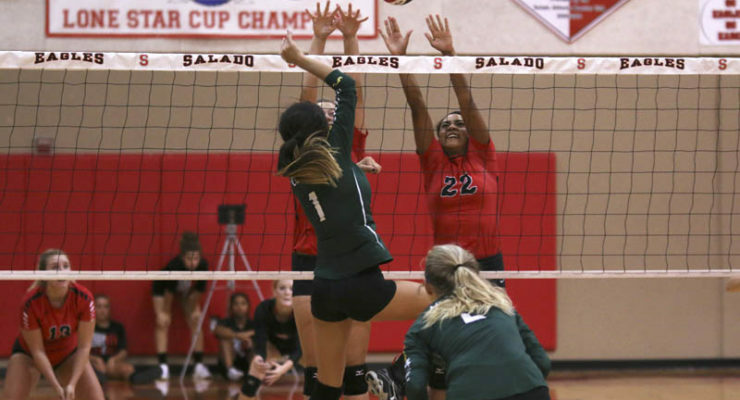 Salado Lady Eagles fought the 6A Ellison Lady Eagles Aug. 22 to a four-set win with all three of their wins by two-point margins and two of them coming in overtime. Salado Lady Eagles face the Belton Lady Tigers in the finals of the Gatesville Volleyball tournament. 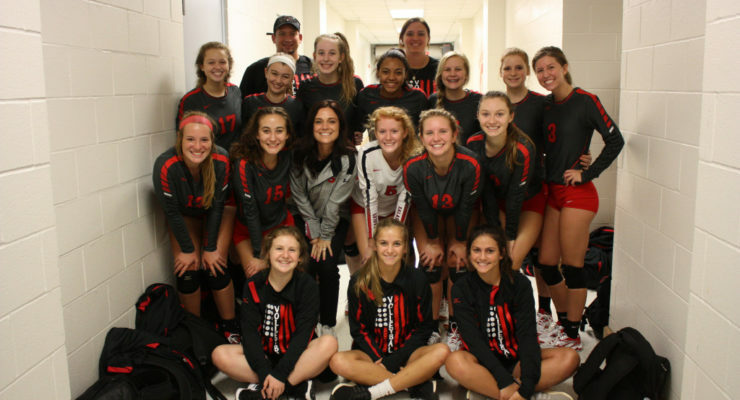 On Thursday, the Lady Eagles beat Ellison and McGregor in the tournament in the Gatesville Tournament. 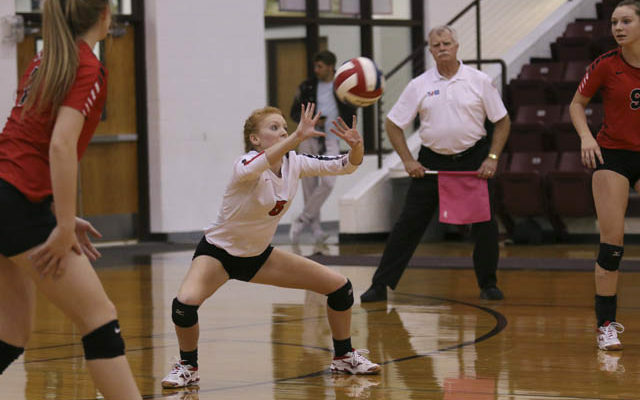 Salado Lady Eagles were knocked out of the Area round of the volleyball playoffs Oct. 31, falling to the LaGrange Lady Leopards in three straight sets at C.H. Yoe High School in Cameron. 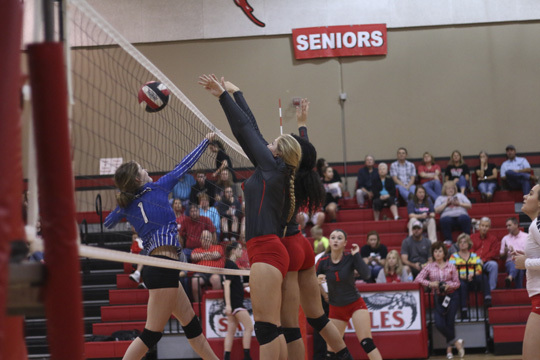 Salado Lady Eagles split their district games last week, losing to Llano in four sets on Oct. 4 and sweeping Lampasas on Oct. 7. Salado Lady Eagles remain perfect in District volleyball with a three-set sweep of Leander Glenn, winning 25-8, 25-17 and a close final set of 26-24. 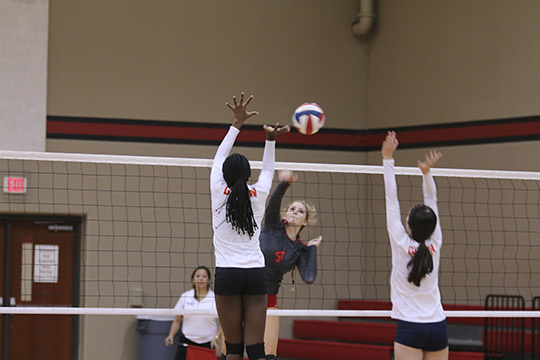 The Lady Eagles recorded 15 aces tonight, led by Katie Robinson and Natalie Fort, who both had four aces. Kerrigan Hearne followed with three aces. Also scoring aces were Brettney Fuller and Mikaela Heiner, two each.